When you purchase a machine from West Coast, we won't just drop it off at your doorstep. instead, we'll work with you from the beginning to determine how to best integrate the new machine onto the floor and your existing line-up. We ensure a smooth transition from old to new. This level of customer service has allowed West Coast to become one of the largest and fastest growing woodworking machinery dealers in the region. [more] . 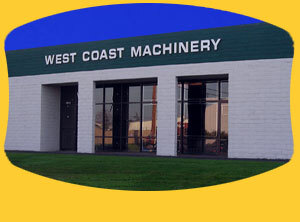 Rely on the professionals at West Coast Machinery. We'll put our decades of experience and know-how to work for you and devise the best and most cost-effective strategy for solving and capitalizing on your production needs. 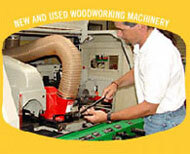 We feature both new and used machinery, service and parts.